Chris Weth of Uganda Wildlife Safaris (UWS) has just notified us that, due to the game management and hunting successes in his concessions the past two years, UWS has been rewarded with large allocations for 2013 including 28 permits for East African Sitatunga. Book now and hunt any open dates throughout 2013 (the season is year around) for 9 days (7 full hunting days) for $14,840 + trophy fees for EA Sitatunga, Nile Bushbuck (more on Nile Bushbuck later in this Newsletter), Bushpig, EA Bush Duiker, Uganda Kob, Oribi, EA Bohor Reedbuck, Warthog, and Uganda Defassa Waterbuck. UWS has been 100% on Sitatunga the last two years! Call Ken Wilson at 830-792-4200 to learn about a limited number of other big discounted safaris with UWS in appreciation for the new quotas. 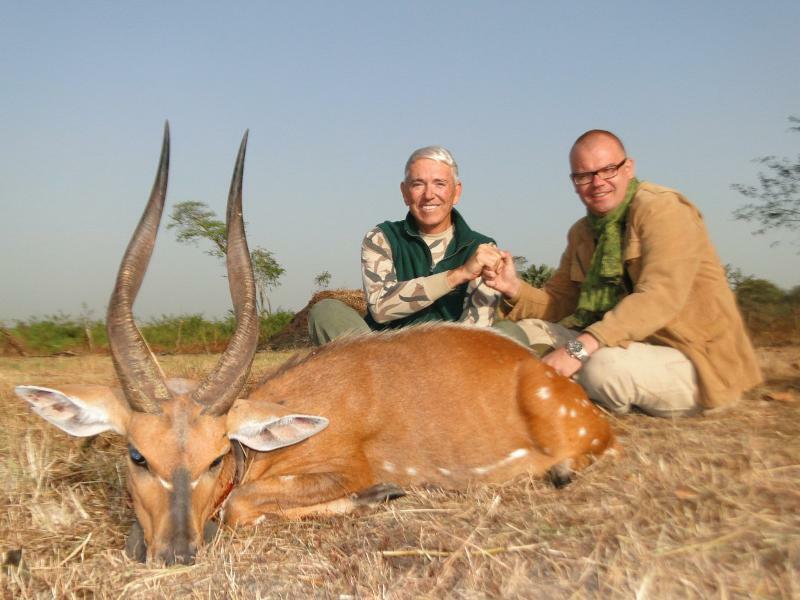 If you have ever thought about hunting Uganda, now is the time to book it. Just last month Owner-PH Chris Weth guided well-known U.S. hunter Lee Anderson to the new world record Nile Bushbuck (horns over 18 inches, bases over 6-1/2 inches). Over the past 3 years, UWS has re-written the SCI Record Book with Nile Bushbuck, Nile Buffalo, EA Sitatunga and other species. More on this later, but both PHs will have ownership interests as well as assuming most of the responsibility for hunting operations. Shunneson & Wilson had their best convention season in terms of bookings. The big winners were the below $10,000 hunts including numerous bookings for Woodland Caribou (sold out for 2013; now booking 2014), Eastern Canada Moose, New Mexico Pronghorn Antelope, All 4 Ibex in Spain (yes, they are less than $10,000 through us), and Lad's Billfishing adventures in Mexico. The losers were the expensive African Safaris, but see the Uganda specials above, and Ken will have information on specials in another important African country next month. 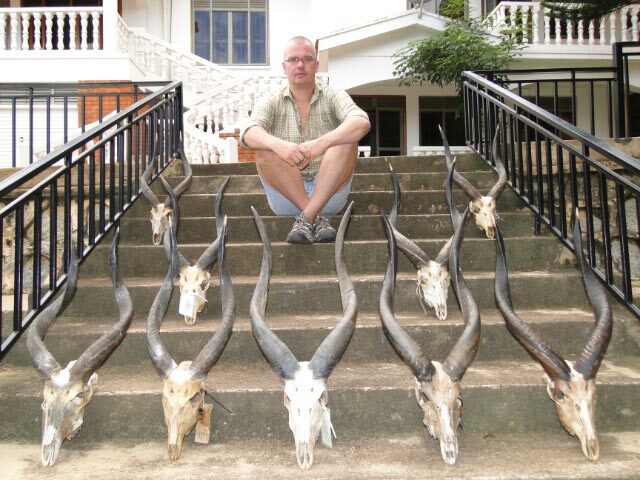 We also booked numerous hunts to Iran for November 1, 2013 to February 20, 2014, but those hunts are contingent on receiving invitation numbers for visas, which are not typically issued until September and after.